Feeling adventurous? How does the Amazon sound to you? This 100 payline slot game is full of wild and exotic animals, with loads of bonus cash and excitig bonus features! 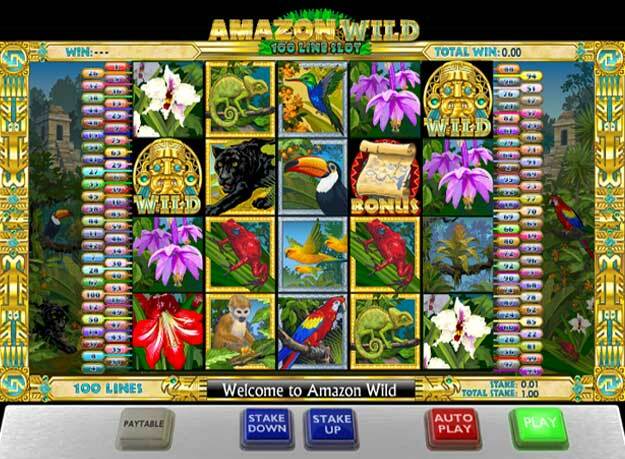 Head over to the Amazon rainforest, look out for the wildlife and spin the reels of Amazon Wild slots. With realistic sound effects and great graphics you'll enjoy every spin and even better if get some cash back! Place your bets across 100 pay lines on Amazon Wild and see what prizes come your way. Look out for the Trigger the Map bonus for even more chances to win big! Can you be King of the Jungle with Amazon Wild Slots?